I have installed Ubuntu 15.04 on my laptop with RTL8723BE Wi-fi card. But it is always disconnecting from network. 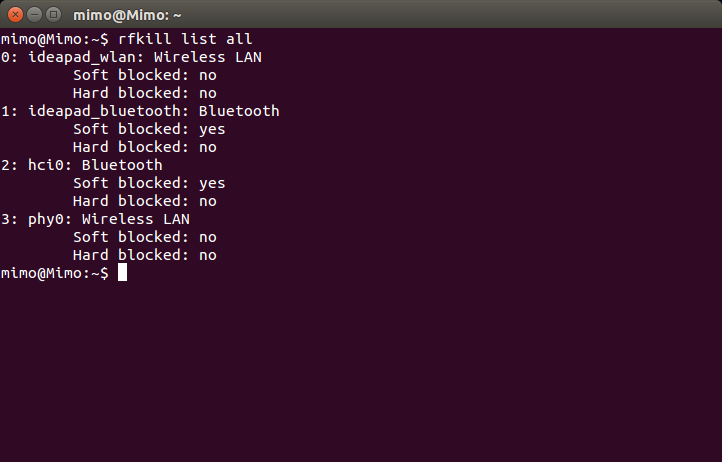 I have tried echo "options rtl8723be fwlps=N ips=N" | sudo tee /etc/modprobe.d/rtl8723be.conf but that didn't helped. What can I do to prevent the wifi from disconnecting? If I upgrade to kernel 4.X, will it help? First of all remove the settings you made. If you do not have this file, nothing is wrong. Expanation is made by chili555 in this answer. This is the same driver as https://github.com/lwfinger/rtlwifi_new, rock.new_btcoex branch but packed as dkms. Note: Support for 4.2 kernels and Ubuntu 15.10 has been added to the PPA. For kernel 4.2 the bluetooth driver should not be installed from the PPA. There is already native support of the bluetooth adapter in kernel 4.2. If you do not have any internet connection, you can download the package using another computer, a phone, etc. Important: For new Ubuntu kernels installed on a system with Secure Boot on UEFI, the unsigned kernel module may not load. In this case see THIS ANSWER to fix it. Update: I have now a laptop with this adapter. It works perfectly on the 4.8 kernel that is available in Ubuntu 16.10 and 16.04.2. Installation of a custom driver is required only for kernels older than 4.8. The device should work well after a reboot. But still if your laptop has only one antenna and it is attached to a "wrong" connector, setting ant_sel=2, or and_sel=1 may be required. It was solved after installing new driver and setting ant_sel=2, just as described here. wifi was working fine for some time (sometimes 2 hours) then suddenly going slow and eventually disconnecting. Changing parameters (ips, fwps...) didn't help. I finally found that removing Windows 10 fastboot (in Windows energy settings) solved the problem. What worked for me was enabling the MSI parameter (message signal interupt). I have a lenovo Z50 laptop. My wifi would work with all wifi laptop manufacturers but i was having a problem with a Lancorm wifi router at a Hotel I once stayed. You may have to reboot the computer and wait after for a couple of minutes after restarting the browser for the msi to be triggered. After a lot of messing, I finally find there is actually 2 issues here. The WiFi driver needs swapping as stated above, to cure drop outs of the card which require network manager to be restarted or card resynched with network. Update the driver as stated. Once your drop outs are fixed, you need to cure the low signal strength issue... This is a little more invasive. Undo all screws on bottom, even the ones under the 2 back rubber feet, centre little rubber cover and hinge rubber covers all on the bottom. Gently ease the top off clicking it away from the base. Lift top off gently. Locate the network card in the centre, towards the rear. Remove the fine coax cable of the antenna connected (main) and replace it on the connector next to it (aux). Put everything back together. The driver for Linux uses the other antenna on this dual antenna card, so if you don't swap it you will get severe signal loss. Now the laptop has plenty of space for storage, boots pretty quick and has full signal with no dropouts all around the house. Great little laptop for the price but needs some planning if you are gonna put Linux on it. Thanks everyone for the work on this. I had the same problem, I updated my driver just as explaind in Pilot6 answer , but it still frequently disconnected. I was desperatly searching for another solution when I found in laugeo's answer that removing Windows 10 fastboot solves the problem. Unfortunalty, I only have Ubuntu and no Windows. However I found that simply disabling Legacy Support solves the problem! Now WLAN works perfectly - no more disconnects! This was the same case with me. I also tried rfkill list all but nothing was blocked. Yet Wi-fi failed to work properly. For 2 days long since installation of Ubuntu 14.04 LTS I tried various tweaks. Was almost frustrated and loosing hope. Finally got it working. Then you need to reboot once. Now I'm able to access the internet through Wi-Fi without any drop. In case if you using the latest version of Ubuntu such as 18.04 and above, you won't be able to add the ppa repository[ppa:hanipouspilot/rtlwifi] due to some security reasons. Therefore, get that new wifi driver directly from GitHub. That's it the updated driver is installed. Not the answer you're looking for? Browse other questions tagged drivers wireless realtek-wireless or ask your own question. How to reinstall wifi card driver? Wireless doesn't work for me in Lubuntu but does in Puppy?